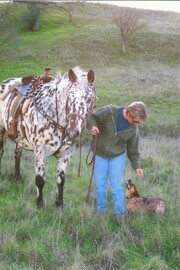 Jan loves the land, as is evident in her passion for running, horseback riding, and cycling. Her fondness for the outdoors continues into her expertise in ranches and acreage, acquired over her more than 15 years in Real Estate. Jan is a graduate of U.C. Davis and has lived in the North County for more than 25 years. She has been named Associate of the Year by the Paso Robles Board of REALTORS, and volunteers for Paso Robles Library fund-raisers.